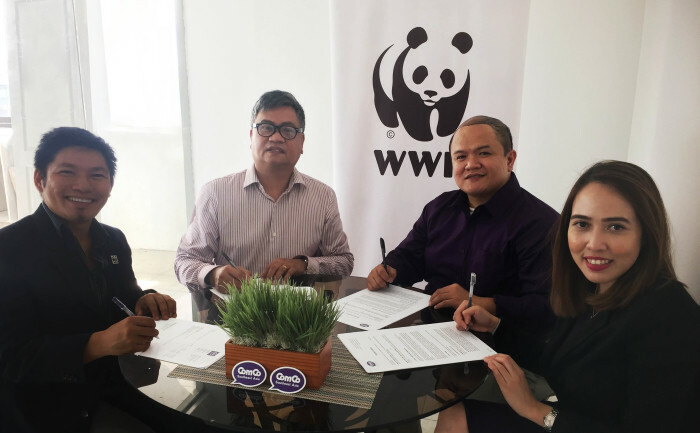 WWF-Philippines, the country’s leading conservation organization, recently inked a partnership with ComCo Southeast Asia, a coalition of premier brand architects and communication trailblazers in the region. WWF-Philippines is a conservation organization dedicated to building a future where people and nature thrive. For 20 years, WWF-Philippines has tirelessly endeavored to bring together stakeholders from various sectors to collaborate for environmental sustainability. By designing, implementing and managing science-based projects from grassroots to policy levels, WWF-Philippines has positively transformed the lives of thousands of Filipinos while conserving some of the richest habitats in the Philippines. ComCo Southeast Asia is a communications agency offering integrated marketing solutions, from insights mapping and strategic planning to seamless executions in relevant communications touch-points. “WWF is one of the most active and trusted conservation organizations in Philippines and around the world. We are proud and excited to be their communications partner. We look forward to this collaboration and the opportunity to engage and mobilize people and organizations behind a shared desire to address these conservation challenges,” says ComCo Southeast Asia Regional Managing Director Ferdinand Bondoy. ComCo Southeast Asia aims to deliver creative and compelling campaigns while providing strategic communications advice to drive more support for WWF-Philippines’ conservation programmes. Members of ComCo have been helping WWF-Philippines through such events as Earth Hour, the WWF Stewardship Campaign, the Bright Skies programme for Tubbataha and Apo Reefs, the TAMS-2 tamaraw conservation programme, a dolphin mural painting marathon and most recently, the Reefstrokes Campaign, which aimed to promote the conservation of the Verde Island Passage.